A 4 week plan to personal health transformation based on 2500 calories for male health, vitality and strength. 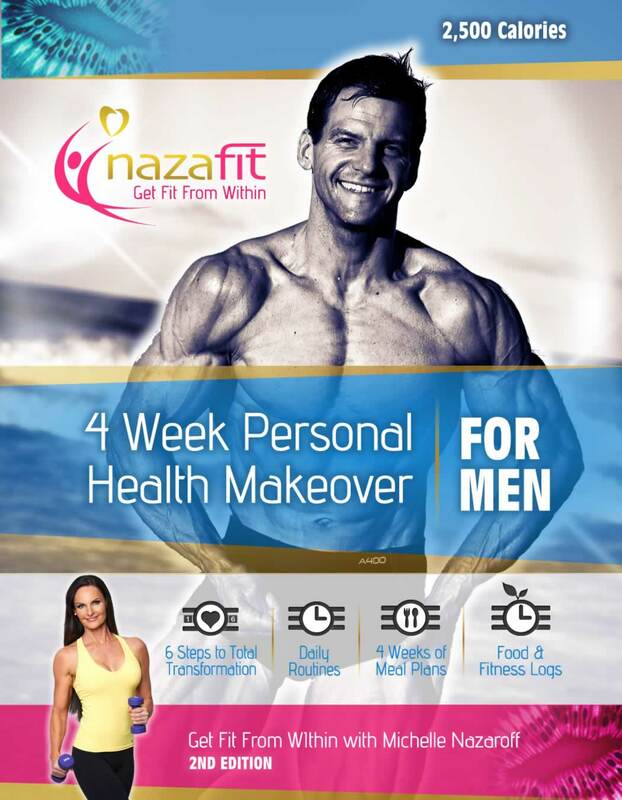 Due to popular demand, the 4 week personal health makeover for men is now out. If, however, you are interested in leading a totally vegetarian lifestyle with a focus on raw food, we have the 4 Week Personal Health Makeover for Men – Totally Raw program for you. 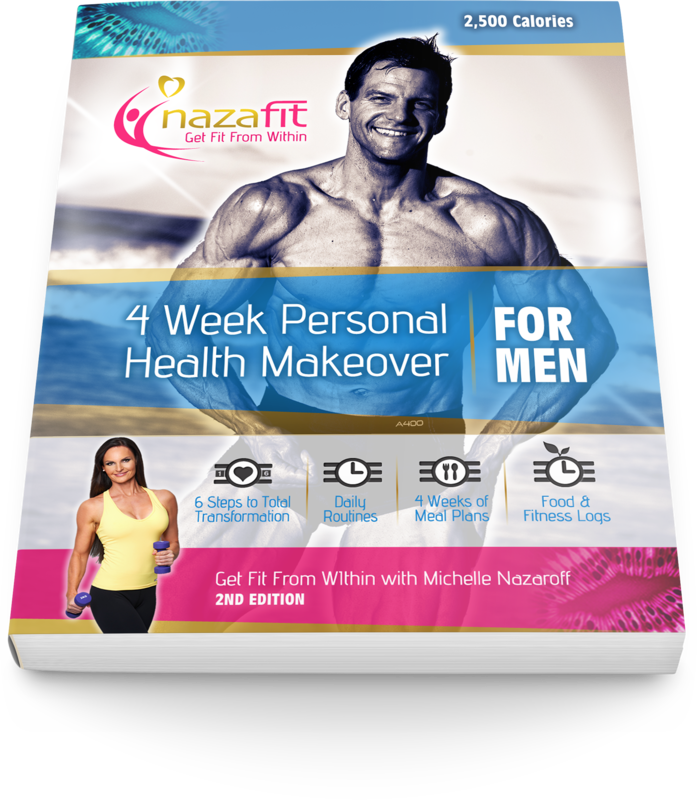 In addition, if you are a couple taking the Nazafit whole food journey together, your partner may be interested in the 4 Week Personal Health Makeover for Women which has complimentary recipes for a shared kitchen, saving time on shopping.